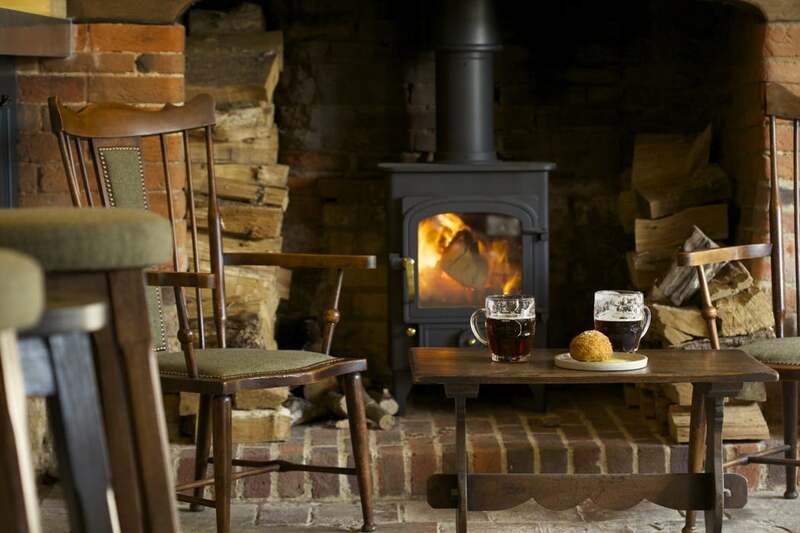 There’s nothing quite like a wonderfully rustic English country pub that ALSO serves exceptional cuisine. And a new pub has come across our radar recently that we’re pretty sure is going to become a firm favourite. The Bottle & Glass Inn. 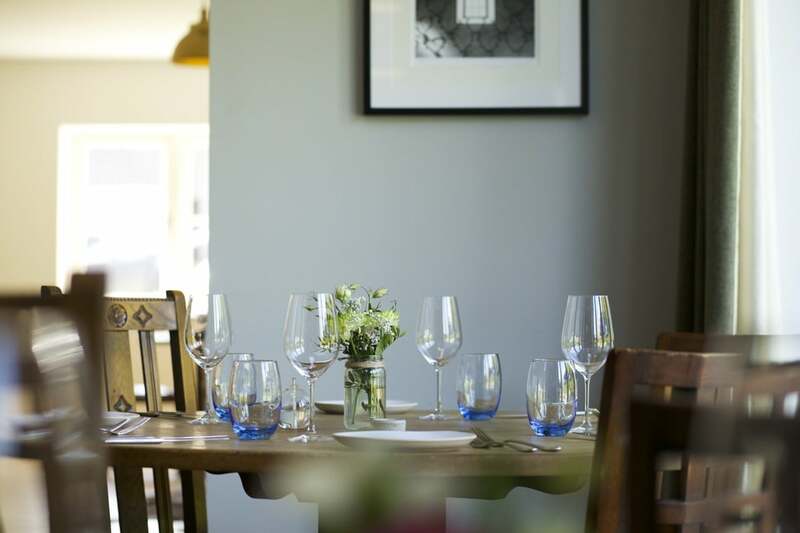 2 miles outside the village of Binfield Heath and close to the lovely Henley on Thames offers exquisite English fare in a relaxed, country pub environment. 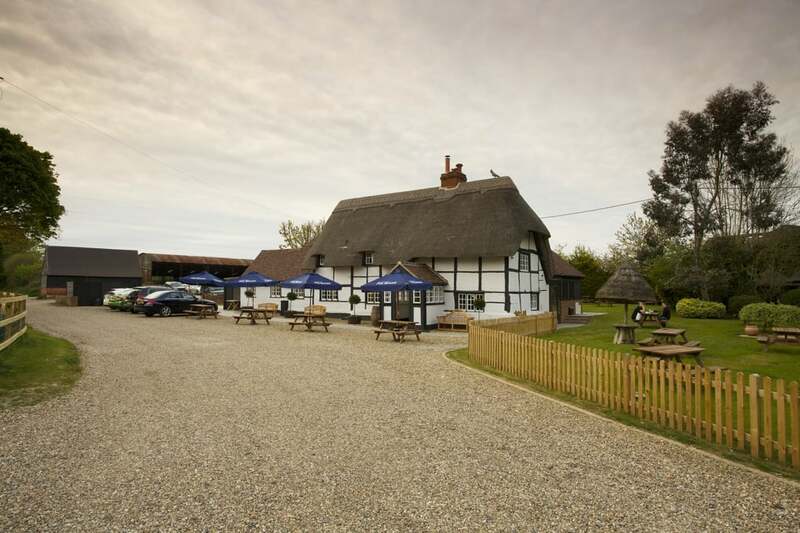 The pub is located nearby the village of Binfield Heath surrounded by stunning National Trust land and also close to Henley on Thames, 3 miles from Reading and a mile from the River Thames. Reading station is just 10 minutes drive away. You feel a sense of comfort when you learn that the owners were former managers of London’s only Michelin star pub! You can relax knowing that a culinary treat awaits. The main menu features tempting delights such as ‘Berkshire chicken breast, crispy wing, peas, broad beans and wild garlic’ or how about ‘Hay smoked estate venison, celeriac, Jersey Royals and spring greens’. There’s also a light snacks menu to be enjoyed in the sociable bar area which includes scrumptious wild boar sausage rolls, smoked salmon & soda bread and hearty hand raised pork pies. The food is beautifully presented and the chefs rely heavily on locally sourced products and use local farmers wherever possible. 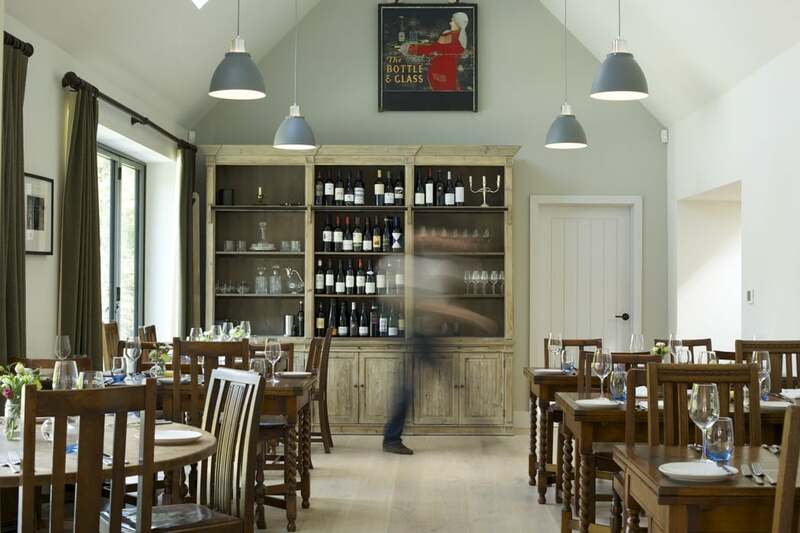 A range of local beers, which includes Loddon beer brewed on the estate, and a carefully curated selection of wines and champagnes compliment the food. The Grade II listed pub recently underwent a dramatic 18-month renovation and a major extension; it has been lovely restored and the attention to detail is clearly evident. In classic British pub style, there is a pretty thatched roof and exposed beams. The addition of a wood-burning stove, tweed curtains and mismatched chairs creates a charming country vibe that is relaxed and welcoming. It’s all very photogenic too so will get your Instagram twitching! The main restaurant seats 70 and there is a separate traditional ‘locals’ bar with communal pews and benches which creates a lovely, friendly atmosphere; it’s the place to go on a Friday night that’s for sure! The outside space is also delightful with a spacious beer garden; perfect for relaxing on a sunny English day with a pint of beer or a chilled glass of wine. The owners are David Holliday and Alex Sergeant, both have a distinguished history in running foodie pubs. David Holliday was head chef of the Pot Kiln in Berkshire and then went onto become general manager of The Harwood Arms in Fulham. This is where they met and Alex Sergeant went onto manage the pub when David left. 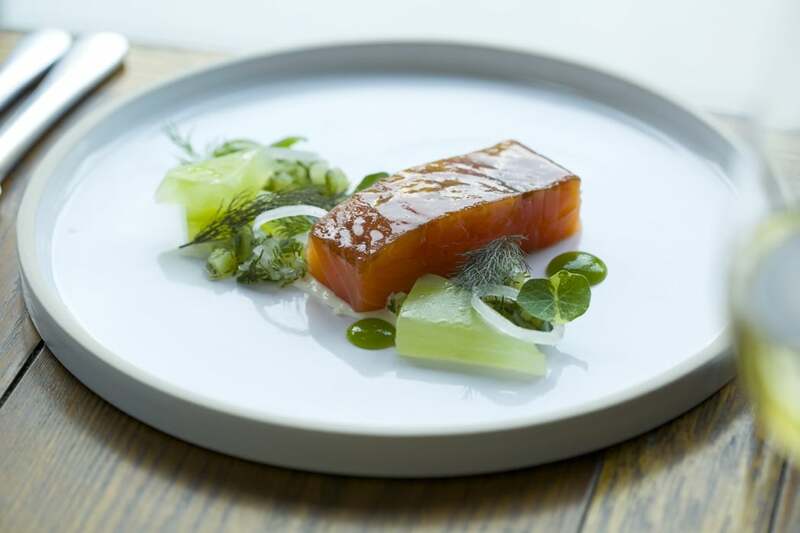 The Harwood Arms is London’s only Michelin-starred pub. David also launched a range of popular game-based products for Waitrose and hundreds of farm shops and delis throughout the UK. When they joined forces, starting their own pub was an obvious next step and a renovation of this scale, although a fabulous challenge, was one they have clearly undertaken very successfully. The next time you want a catch up with friends or a family meet-up, book a table at The Bottle & Glass Inn, your stomach will definitely thank you for it!